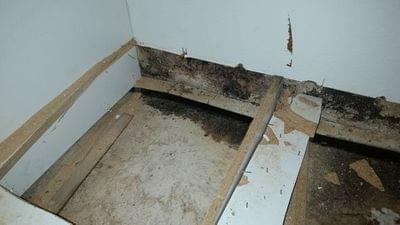 Mold begins to grow and create a serious problem when it is subject to wet or damp areas. Mold is known to cause potential health problems such as sneezing, red eyes, skin rash, allergic reactions, runny nose and congestion. Mold growth can be irritating to the skin, nose, eyes, throat and lungs. 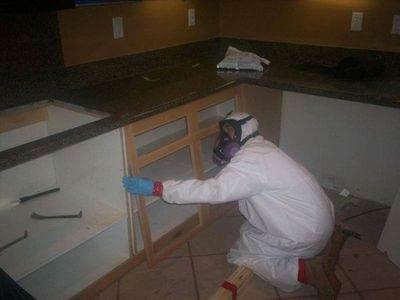 Protek Restoration Services is here to help remove mold immediately. Once mold is established, it is extremely difficult to eliminate. Problems may linger several months after remediation is accomplished. Protek Restoration Services will act quickly in mold removal in hopes your property will be back to normal as soon as possible. Mold is not always visible. If you smell a musty smell, or have any symptoms listed above, there is a possibility you have mold in your home. Other health symptoms may consist of acute, unspecific illness that can not be explained or identified. If you suspect mold growth in your home, call Protek Restoration Services and schedule an initial inspection with one of our mold remediation specialists. Protek Restoration will schedule an inspection over the phone within minutes. Mold is dangerous to you and your family and may potentially cause health problems. Protek Restoration Services has the knowledge to effectively eliminate mold in your home fast and efficiently. Mold can be found in many different locations. Given moisture and high humidity levels, mold spores can grow on anything indoors and outdoors including wood, paper, carpet, food, plants and soil. There is no specific technique to eliminate all molds and spores in indoor environments. Indoor mold growth can be controlled by moisture and humidity level control.